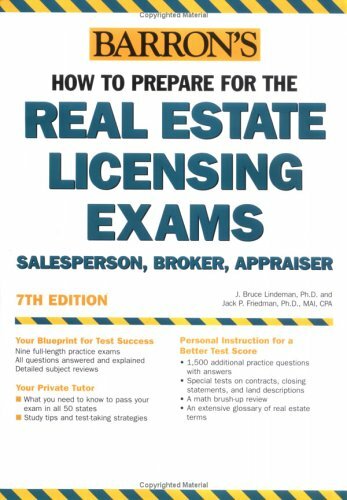 Nine full-length practice exams prepare test takers for the real estate licensing exams administered in all 50 states. All questions are answered and explained. Test takers will also find more than 1,500 additional practice questions with answers plus special short tests that cover contracts, closing statements, and the rectangular survey. This updated manual includes a math review chapter and an extensive glossary of real estate terms.